Senate Majority Leader Phil Berger has once again extended the deadline for making a decision on whether or not to enter the U.S. Senate race. This time, he says he’ll decide in two weeks. The Sun Journal says that Berger’s actions since the end of session have “all the trappings of a campaign in progress”. Is Berger trying to gauge his level of support? Previously, we’ve said that odds are that Berger won’t run, is it time to revise that prediction? Of all the potential candidates, Berger is the most opaque when it comes to his plans. And it’s worth noting that there are rumors that Virginia Foxx and Berger are close and have agreed not to run against each other. Does Foxx’s non-entry make a Berger bid more plausible? 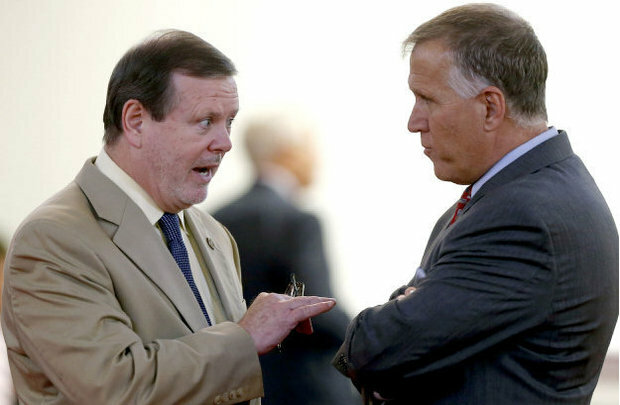 Probably not: to mount a serious bid for U.S. Senate, Berger would have to forfeit his leadership position – and his seat in the General Assembly. We’re guessing that Berger prefers being the most powerful man in Raleigh to waging a longshot bid for U.S. Senate. A Berger entry would mean a showdown between the two leaders of the General Assembly, and the primary could possibly get ugly and personal. National Republicans probably want to avoid that. We’re guessing that, two weeks from now, Berger will say no to a Senate run. But we’re less confident about that than we used to be.